Learning is an important part of starting up a business. Failures, mistakes, oversights, under estimating, over estimating, assumptions and wishful thinking are all learnings I’ve had to take on board getting Dry Patch started. And last month I was able to add “manufacturing fault” to that list. Yes, it turns out that an entire shipment of my new product is faulty; broken; defective... useless! 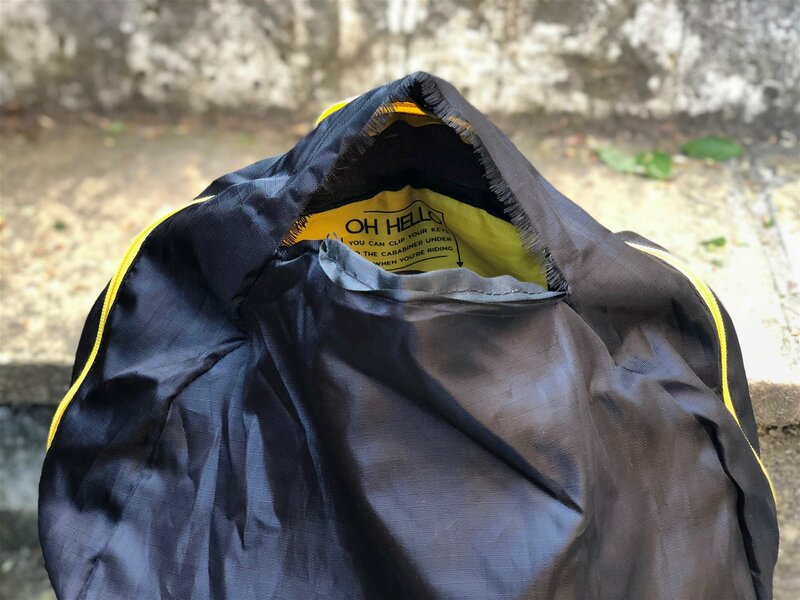 So first things first: if you are reading this and you were one of the wonderful people who purchased a brand new FOLDAWAY Emergency Backpack when they launched, and if it has malfunctioned (split), please get in touch and I will arrange a replacement for you*. Essentially, there was a “mix up” at the factory and they used the wrong material on around 50% of the product run. The bags affected went from being a strong unrippable, unfolding, 18 litre backpack of joy, to becoming Rippy McRipface, the amazing ripping bag! And here’s the thing, the most upsetting thing wasn’t the XXXX’s of pounds it has cost the company, and that we now have to find something to do with the entire shipment of erroneous bags (well, maybe a little bit about that). It was actually the feeling of deflation. I am genuinely sad that 1) customers were let down by receiving a substandard product and 2) that the damn list of learnings grew longer. I may have shouted a few choice expletives and treated myself to the forgiving embrace of a Scottish single malt. But here we are a few weeks later, and I have negotiated a better deal with the factory, the checking process is now more robust and I’ve included a second colour way in the reorder. So in a lot of ways we have arrived at a better outcome. You will stumble as you stride energetically down the startup road and if you remain obstinate, it's easy to feel like their are too many assaults along the particular course you have chosen. And even learning these lessons does not guarantee success. The startup business owner must be many things: Agile. Smart. Practical. Analytical. But above all they must be positive. And I am having too much fun not to stay positive. So watch this space... there’s more to come from the Dry Patch! Jump on Your Bike or Hit the Gym? An eBike or a Vespa for the Lady? Time to Join the scooter revolution? Don't be an idiot, wear a helmet! It could be the law! London commuter cycling fashion is history!